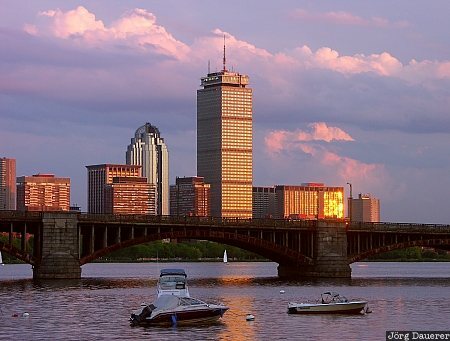 Prudential tower across River Charles and Longfellow Bridge in Boston, Massachusetts in the north-east of the United States. This photo was taken in the evening of a cloudy day in June of 2004. This photo was taken with a digital camera.